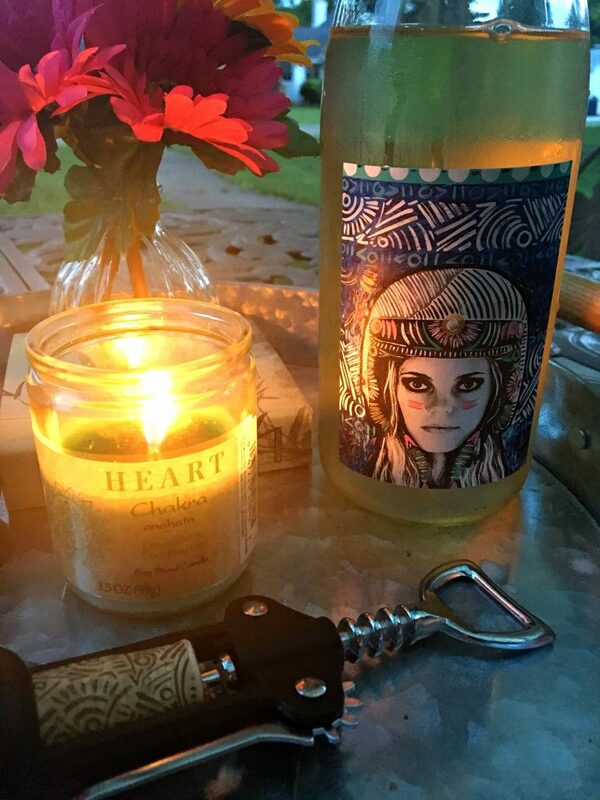 Winc Review by Brennon Hightower | Uncork Winc's Funk Zone White Blend! 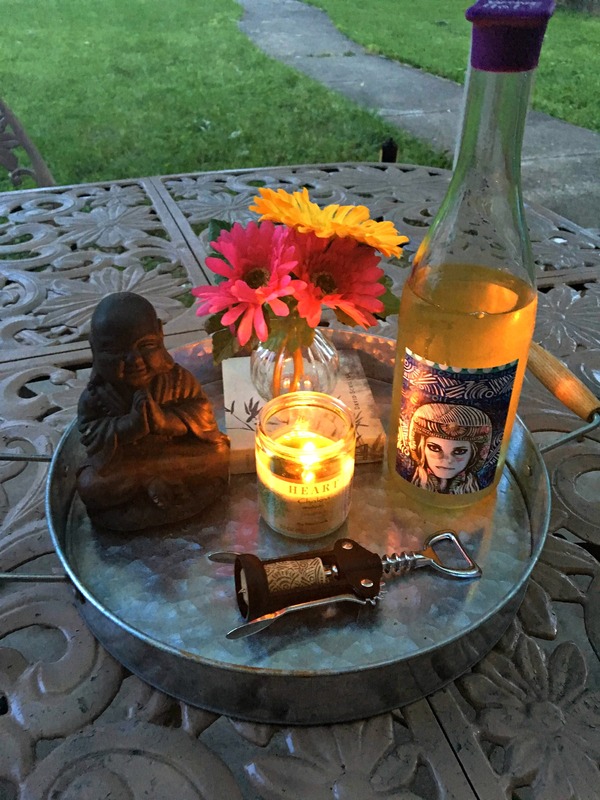 Last week on the blog, I gave a review of Winc’s 2016 Finke’s Widow Sparkling Chardonnay, but today, I’m giving you the deets on Winc’s 2016 Funk Zone White Blend. Working through each of these bottles has been extremely interesting – for sure. I’m experiencing wines that I would have never tried had it not been for Winc. Each wine slowly pushes me out of my comfort zone. Not only that, but they are perfecting how wine is made, distributed, perceived. and purchased via their Palate Profile quiz that recommends wine based on your unique tastes. One of the white wines that was chosen for me based off of my quiz was 2016 Funk Zone White Blend. 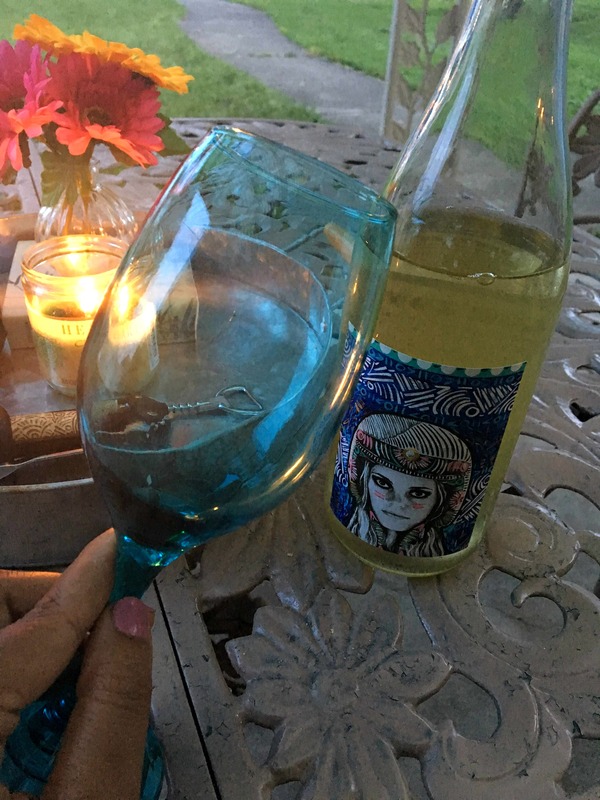 So, a few nights ago, I nestled up in my backyard oasis, as I have been many evenings recently and enjoyed a glass of Winc’s Funk Zone. I mean the full nine, swirled it around in my turquoise wine glass and smelled the floral aroma before enjoying this crisp glass of wine. For me, this particular blend took some getting used to, especially after having Finke’s Widow because they are so different. While there were surely floral notes evident, I appreciated the quality of the California sparkling wine along with the celebratory feel of bubbly champagne most of all. Nevertheless, new members can enjoy $22 off of their first month of Winc’s monthly wine subscription. This particular bottle of wine sells for $17 on Winc and pairs well with fish, shellfish, sushi. 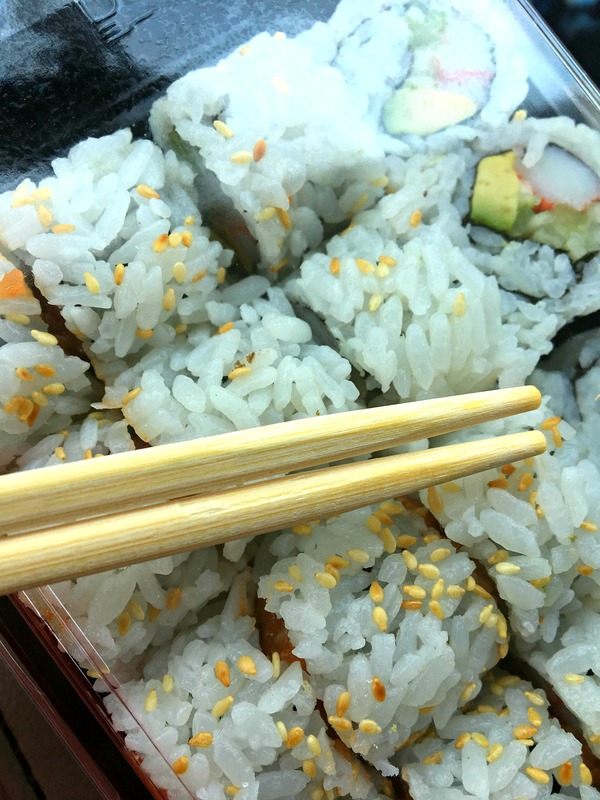 It’s too bad the wine was already gone by the time I ordered a few of my sushi rolls for take-out the next day. Finally, I want to make a quick correction. In my previous post, I noted that 2016 Finke’s Widow Sparkling Chardonnay was $13. But, when I went to reorder, I noticed that is actually $16, but is sold out! I’m so sad about that! In the meantime, be on the lookout as I share reviews for the remaining two bottles! Want to check out Winc for yourself? Visit Winc Wine.